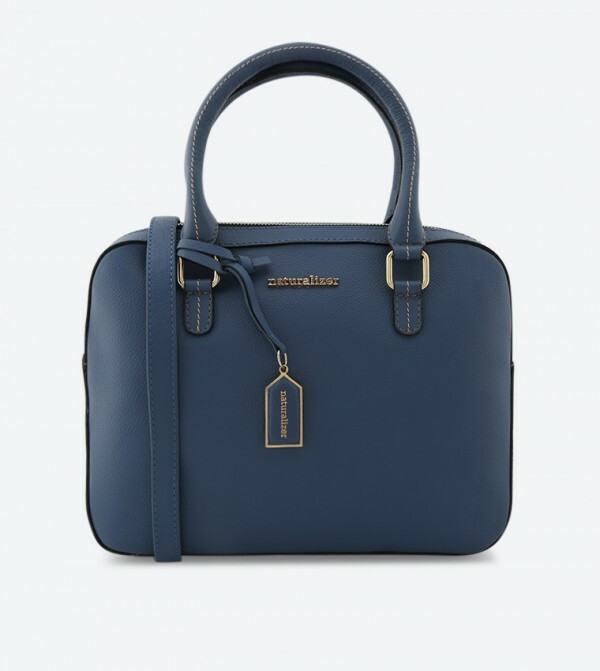 Stylish and chic in every bit is this blue tote bag from Naturalizer. Accented with metallic branding on the front, this bag made from leather is highly durable. Featuring zip closure and firm dual straps, this capacious bag will hold your essentials in an organized manner. The zippered pocket at the back will provide added functionality to it.